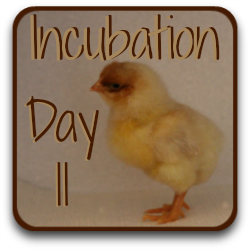 Incubation : Inside the chicken egg at day 12. 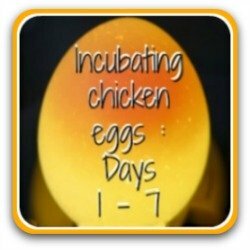 With only another nine days' incubation to go, the chicken is now putting on rapid growth and starting to fill the egg. The chorioallanotoic membrane is closed and completely encloses the yolk, covering it with blood vessels which are critical in enabling the embryo to absorb oxygen. 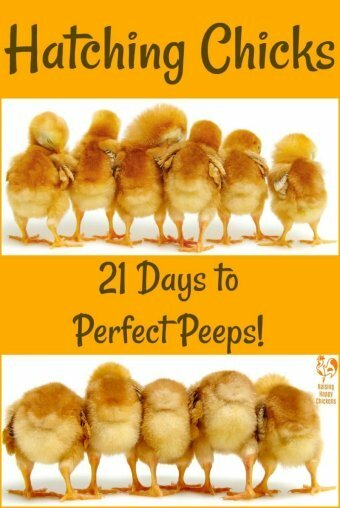 If we could look inside the egg, we'd see the embryo lying curled comfortably in the middle of the yolk sac and, under a microscope, it's possible to see tiny down feathers all along the spine. The incubated egg at day 12. 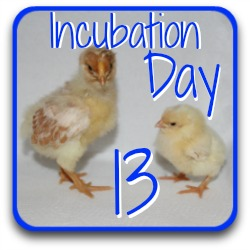 Really, growth which has begun earlier in incubation just continues today. The lower eyelid continues its progress growing upwards and now covers between two thirds and one quarter of the eyeball. 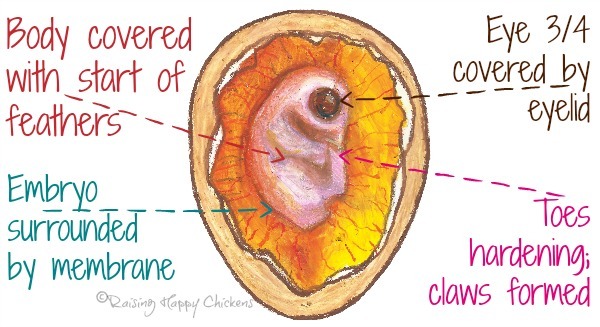 Feathers are growing around the ear and upper eyelid and the spine is covered with a very fine down. And as the embryo continues to take calcium from the eggshell, it uses it to harden the toes, claws and ribs. As each day progresses now, all we'll be able to see is the yolk, the embryo and possibly some blood vessels. The embryo continues to move but it's not always possible to see because space in the egg is decreasing and it can't wiggle around quite as freely. Even with the picture altered to enhance it, it's not easy to see clearly what's going on. In the lighter green area there are blood vessels but within the next couple of days even they will become unclear as the embryo steadily grows. The air cell continues to grow and is a good indicator of continued embryo development. 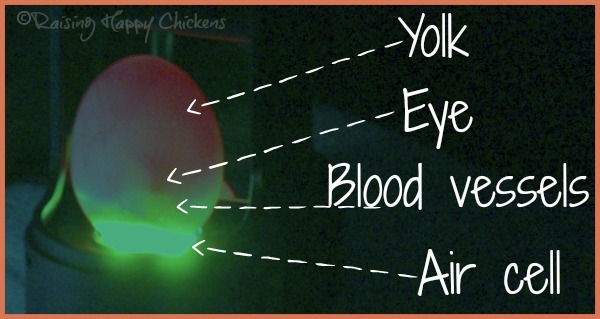 From now on when you candle, make sure you mark the air cell space using a pencil. As ever, you need to make sure temperature and humidity levels are right, and the eggs still need to be turned. There is no need to candle today, especially if you candled at days 7 and / or 12. However, if you do, make sure you mark the air cell. It's here the chick will first break through the eggshell. 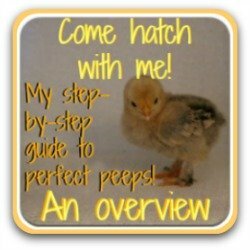 Very occasionally a chick won't be able to place itself in the right position for hatching. 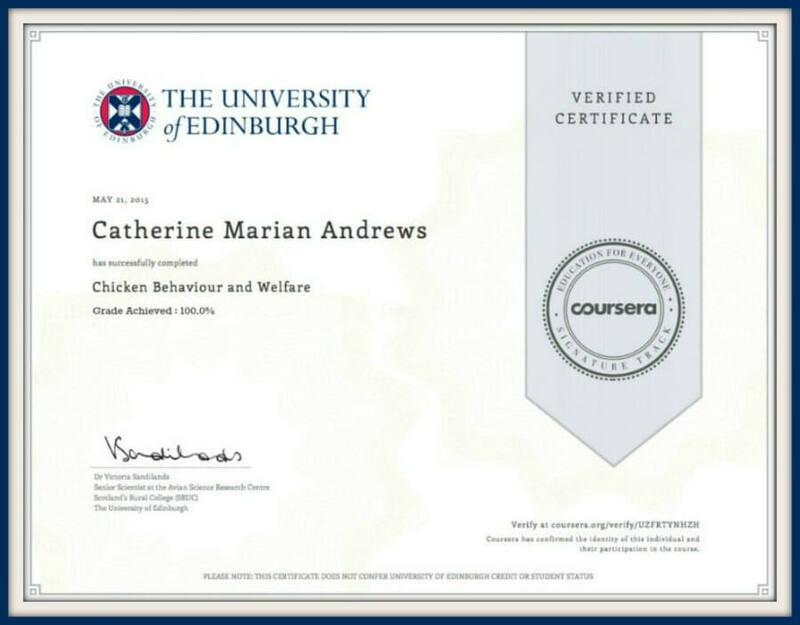 Knowing roughly where the air cell is will help determine whether the chick is pipping in the right place and therefore whether it will need some help to breathe. 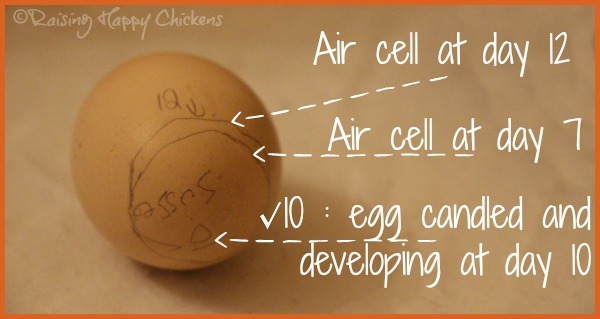 One of my Light Sussex eggs candled at days 7, 10 and 12, making fertility and air cell growth. 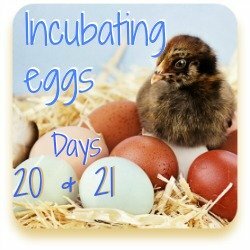 Day 12 is the optimum time for eggs to explode in the incubator. 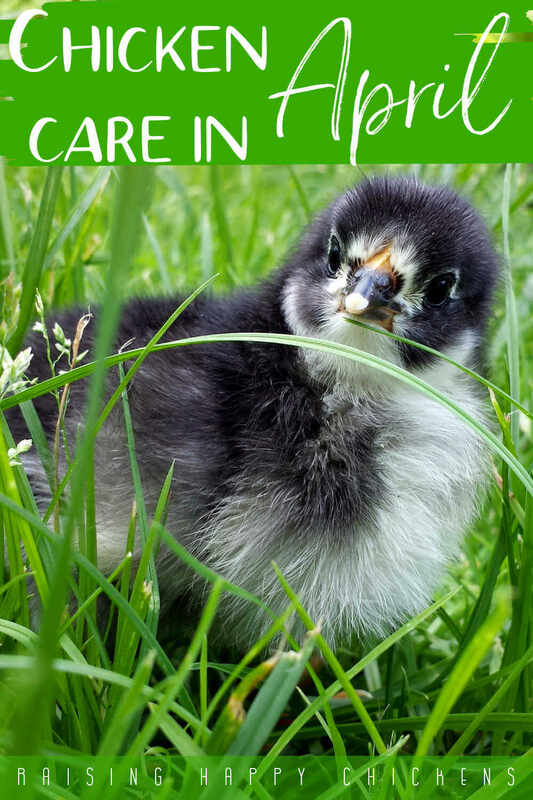 It's extremely important that each time you go near your incubator or lift its lid for any reason, you take note of any bad smells. When you candle the eggs, watch out for tell-tale marks which suggest the egg is cracked and if there is any sign of liquid or a kind of dark coloured goo on the outside of the egg, get rid of it immediately. 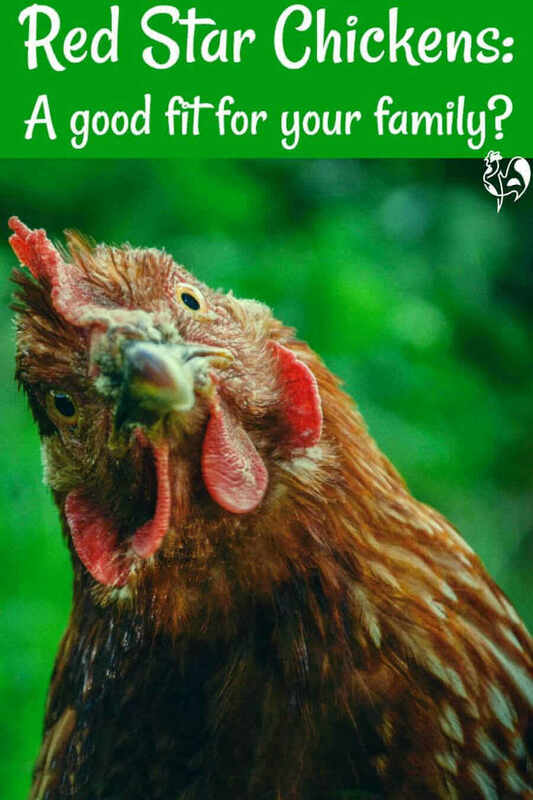 A cracked egg which has not oozed may be saved, but an egg which has cracked and oozed will not hatch and, if it is left in the humidity and warmth of an incubator, will explode and shower bacteria on the other eggs. And if that happens, your hatch will be seriously compromised. One of my eggs seems to have an odd-shaped air cell. Should I discard it? This is sometimes a problem with eggs which have been sent by post. The rough handling and jolting in transit can cause the membrane to become detached from the shell, even when the egg is well packed. It's not obvious early in incubation but becomes clearer as the air cell develops. Whether to discard or not is a matter of personal preference. Personally, I don't, and I have had mixed results. 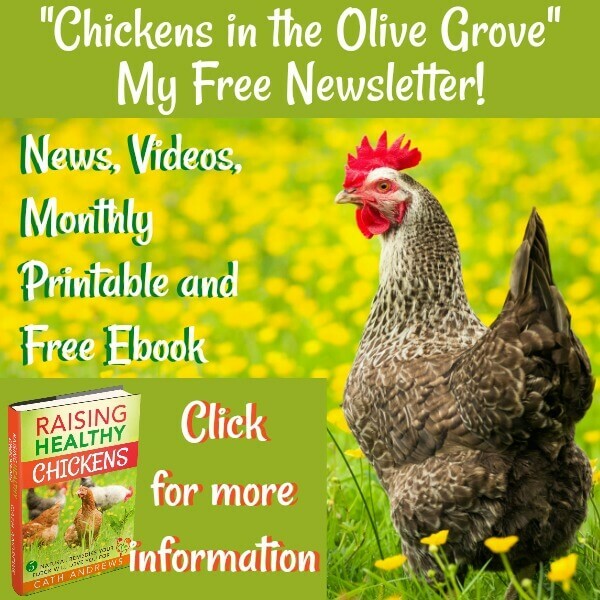 Often the eggs just don't develop, but sometimes I've hatched chicks successfully and with no problems either during incubation and hatching, or afterwards. This was a Lemon Millefleur Sablepoot egg which was sent to me by post. 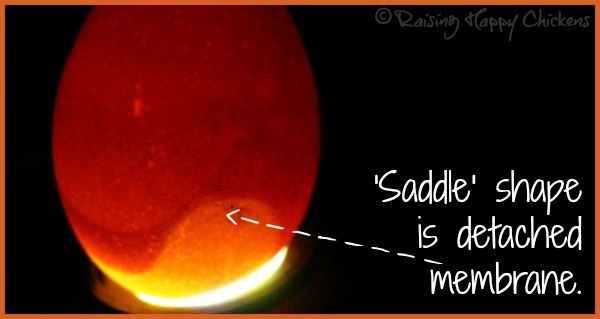 The saddle-shape is a good example of a membrane which has become detached. Of the four fertile eggs which had this type of detached air cell, two hatched. A 50% success rate is good enough for me to give detached membrane eggs a chance. 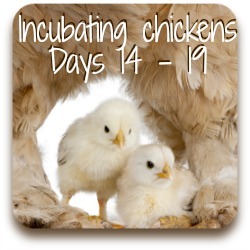 On each day of this incubation series I feature a photo of one of my own chicks. 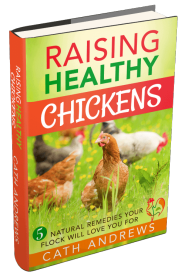 It helps keep our minds focused on what we're working towards - a healthy, happy chicken. 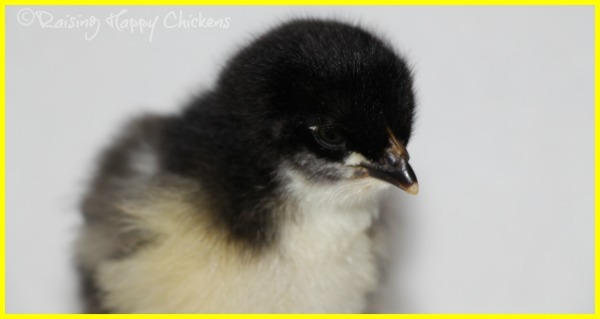 This is a close-up of one of my Black Copper Marans chicks at two days old. You can still see the egg tooth at the end of her beak - the lighter coloured tip. The chick uses this to break out of the eggshell; it falls off a few days after hatching. 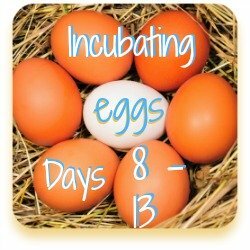 If you want a quick overview of incubation, rather than following along with the detailed series, these pages are just what you're looking for. 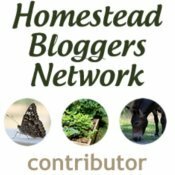 Is there a question you'd like to ask? 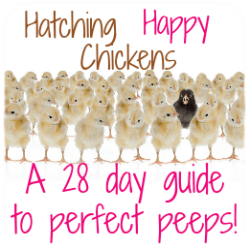 Or perhaps your chicks have already hatched?